The story behind the story of how the Russian atomic-energy agency became one of the world’s largest uranium producers involves not just the Russian President Vladimir Putin but also a former U.S. president and his wife, who would like to be the next one. The article, in January 2013, detailed how the Russian atomic-energy agency, Rosatom, had taken over a Canadian company with uranium-mining stakes stretching from Central Asia to the American West. The deal made Rosatom one of the world’s largest uranium producers and brought Putin closer to his goal of controlling much of the global uranium-supply chain. But the story behind that story involves not just the Russian president but also a former U.S. president and a woman who would like to be the next one. At the heart of the tale are several men, leaders of the Canadian mining industry, who have been major donors to the charitable endeavors of former President Clinton and his family. Members of that group built, financed and eventually sold to the Russians a company that would become known as Uranium One. Beyond mines in Kazakhstan that are among the most lucrative in the world, the sale gave the Russians control of one-fifth of all uranium-production capacity in the United States. Since uranium is considered a strategic asset, with implications for national security, the deal had to be approved by a committee composed of representatives from a number of U.S. government agencies. Among the agencies that eventually signed off was the State Department, then headed by Clinton’s wife, Hillary Rodham Clinton. As the Russians gradually assumed control of Uranium One in three separate transactions from 2009 to 2013, Canadian records show, a flow of cash made its way to the Bill, Hillary & Chelsea Clinton Foundation. Uranium One’s chairman used his family foundation to make four donations totaling $2.35 million. Those contributions were not publicly disclosed by the Clintons, despite an agreement Hillary Clinton had struck with the Obama White House to publicly identify all donors. Other people with ties to the company also donated. Soon after the Russians announced their intention to acquire a majority stake in Uranium One, Bill Clinton received $500,000 for a Moscow speech from a Russian investment bank with links to the Kremlin that was promoting Uranium One stock. The New York Times’ examination of the Uranium One deal is based on dozens of interviews, and a review of public records and securities filings in Canada, Russia and the United States. Some connections between Uranium One and the Clinton Foundation were unearthed by Peter Schweizer, a former fellow at the right-leaning Hoover Institution and author of the forthcoming book “Clinton Cash.” Schweizer provided a preview of material in the book to The New York Times, which scrutinized his information and built upon it with its own reporting. Whether the donations played any role in the approval of the uranium deal is unknown. But the episode illustrates the special challenges presented by the Clinton Foundation, headed by a former president who relied heavily on foreign cash to accumulate $250 million in assets as his wife helped steer U.S. foreign policy as secretary of state. He emphasized that multiple U.S. agencies and the Canadian government had signed off on the deal and that, in general, such matters were handled at a level below the secretary. “To suggest the State Department, under then-Secretary Clinton, exerted undue influence in the U.S. government’s review of the sale of Uranium One is utterly baseless,” he added. The path to a Russian acquisition of U.S. uranium deposits began in 2005 in Kazakhstan, where Canadian mining financier Frank Giustra orchestrated his first big uranium deal, with Bill Clinton at his side. The two men had flown aboard Giustra’s private jet to Almaty, Kazakhstan, where they dined with the authoritarian president, Nursultan Nazarbayev. Clinton handed the Kazakh president a propaganda coup when he expressed support for Nazarbayev’s bid to head an international elections-monitoring group, undercutting U.S. foreign policy and criticism of Kazakhstan’s poor human-rights record by, among others, his wife, then a senator. Within days of the visit, Giustra’s fledgling company, UrAsia Energy, signed a preliminary deal giving it stakes in three uranium mines controlled by the state-run uranium agency, Kazatomprom. If the Kazakh deal was a major victory, UrAsia did not wait long before resuming the hunt. In 2007, it merged with Uranium One, a South African company with assets in Africa and Australia, in what was described as a $3.5 billion transaction. The new company, which kept the Uranium One name, was controlled by UrAsia investors including Ian Telfer, a Canadian who became chairman. Through a spokeswoman, Giustra, whose personal stake in the deal was estimated at $45 million, said he sold his stake in 2007. Soon, Uranium One began to snap up mining companies with assets in the United States. In April 2007, it announced the purchase of a uranium mill in Utah and more than 38,000 acres of uranium-exploration properties in four Western states, followed quickly by the acquisition of Energy Metals and its uranium holdings in Wyoming, Texas and Utah. The company’s story was not front-page news in the United States — until early 2008, amid Hillary Clinton’s failed presidential campaign, when The New York Times published an article revealing the 2005 trip’s link to Giustra’s Kazakhstan mining deal. It also reported that several months later, Giustra had donated $31.3 million to the Clinton Foundation, which was named the William J. Clinton Foundation when it was established in 2001. Although the Times article quoted the former head of Kazatomprom, Moukhtar Dzhakishev, as saying that the deal required government approval and was discussed at a dinner with Nazarbayev, Giustra insisted it was a private transaction, with no need for Bill Clinton’s influence with Kazakh officials. He described his relationship with the former U.S. president as motivated solely by a shared interest in philanthropy. As if to emphasize the point, Giustra five months later held a fundraiser for the Clinton Giustra Sustainable Growth Initiative, a project aimed at fostering progressive environmental and labor practices in the natural-resources industry, to which he had pledged $100 million. By June 2009, Uranium One’s stock was in free-fall, down 40 percent. Dzhakishev, the head of Kazatomprom, had just been arrested on charges that he illegally sold uranium deposits to foreign companies, including at least some of those won by Giustra’s UrAsia and now owned by Uranium One. Privately, Uranium One officials were worried they could lose their joint mining ventures. U.S. diplomatic cables made public by WikiLeaks also reflect concerns that Dzhakishev’s arrest was part of a Russian power play for control of Kazakh uranium assets. At the time, Russia was already eying a stake in Uranium One, Rosatom company documents show. Rosatom officials say they were seeking to acquire mines around the world because Russia lacks sufficient domestic reserves to meet its own industry needs. It was against this backdrop that Uranium One, then based in Vancouver, B.C., pressed the U.S. Embassy in Kazakhstan and Canadian diplomats to take up its cause with Kazakh officials, according to the U.S. cables. What the company needed, Clarke said, was official written confirmation that the licenses were still valid. The U.S. Embassy ultimately reported to the secretary of state, who by then was Hillary Clinton. Although the Clarke cable was copied to her, it was given wide circulation, and it is unclear if she would have read it; the Clinton campaign did not address questions about the cable. What is clear is that the embassy acted, with the cables showing that the unnamed energy officer met with Kazakh officials to discuss the issue on June 10 and 11. Three days later, a wholly owned subsidiary of Rosatom completed a deal for 17 percent of Uranium One. Within a year, the Russian government would substantially up the ante, with a generous offer to shareholders that would give it a 51 percent controlling stake. But first, Uranium One had to get the U.S. government to sign off on the deal. When a company controlled by the Chinese government sought a 51 percent stake in a tiny Nevada gold-mining operation in 2009, it set off a secretive review process in Washington, D.C., where officials raised concerns about the mine’s closeness to a military installation but also about the potential for minerals at the site, including uranium, to come under Chinese control. U.S. officials killed the deal. Such is the power of the Committee on Foreign Investment in the United States. The committee consists of some of the most powerful members of the Cabinet, including the attorney general, the secretaries of the Treasury, Defense, Homeland Security, Commerce and Energy, and the secretary of state. They are charged with reviewing any deal that could result in foreign control of a U.S. business or asset deemed important to national security. When ARMZ, an arm of Rosatom, took its first 17 percent stake in Uranium One in 2009, the two parties signed an agreement, found in securities filings, to seek the foreign investment committee’s review. But it was the 2010 deal, giving the Russians a controlling 51 percent stake, that set off alarm bells. Uranium One’s shareholders were also alarmed and were “afraid of Rosatom as a Russian state giant,” Sergei Novikov, a company spokesman, recalled in an interview. The ultimate authority to approve or reject the Russian acquisition rested with the Cabinet officials on the foreign investment committee, including Hillary Clinton, whose husband was collecting millions of dollars in donations from people associated with Uranium One. Before Clinton could assume her post as secretary of state in 2009, the White House demanded that she sign a memorandum of understanding placing limits on her husband’s foundation’s activities. To avoid the perception of conflicts of interest, beyond the ban on foreign government donations, the foundation was required to publicly disclose all contributors. To judge from those disclosures — which list the contributions in ranges rather than precise amounts — the only Uranium One official to give to the Clinton Foundation was Telfer, the chairman, and the amount was relatively small: no more than $250,000, and that was in 2007, before talk of a Rosatom deal began percolating. But a review of tax records in Canada, where Telfer has a family charity called the Fernwood Foundation, shows that he donated millions of dollars more, during and after the critical time when the foreign-investment committee was reviewing his deal with the Russians. His donations through the Fernwood Foundation included $1 million reported in 2009, the year his company appealed to the U.S. Embassy to help it keep its mines in Kazakhstan; $250,000 in 2010, the year the Russians sought majority control; $600,000 in 2011; and $500,000 in 2012. Telfer said that his donations had nothing to do with his business dealings and that he had never discussed Uranium One with Bill or Hillary Clinton. He said he had given the money because he wanted to support Giustra’s charitable endeavors with Bill Clinton. The Clinton campaign left it to the foundation to reply to questions about the Fernwood donations; the foundation did not provide a response. Telfer’s undisclosed donations came in addition to between $1.3 million and $5.6 million in contributions, which were reported, from a constellation of people with ties to Uranium One or Ur­Asia, the company that originally acquired Uranium One’s most valuable asset: the Kazakhstan mines. Amid this influx of Uranium One-connected money, Bill Clinton was invited to speak in Moscow in June 2010, the same month Rosatom struck its deal for a majority stake in Uranium One. The $500,000 fee — among Clinton’s highest — was paid by Renaissance Capital, a Russian investment bank with ties to the Kremlin. If doing business with Rosatom was good for those involved with the Uranium One deal, engaging with Russia was also a priority of the incoming Obama administration, which was hoping for a new era of cooperation. It started out well. The two countries made progress on nuclear-proliferation issues and expanded use of Russian territory to resupply U.S. forces in Afghanistan. Keeping Iran from obtaining a nuclear weapon was among the top U.S. priorities, and in June 2010, Russia signed off on a U.N. resolution imposing tough new sanctions on that country. Two months later, the deal giving ARMZ a controlling stake in Uranium One was submitted to the Committee on Foreign Investment in the United States for review. Because of the secrecy surrounding the process, it is hard to know whether the participants weighed the desire to improve bilateral relations against the potential risks of allowing the Russian government control over the biggest uranium producer in the United States. The deal was approved in October, after what two people involved in securing the approval said had been a relatively smooth process. The Clinton campaign spokesman, Fallon, said that in general, these matters did not rise to the secretary’s level. He would not comment on whether Clinton had been briefed on the matter. Fallon also noted that if any agency had raised national-security concerns about the Uranium One deal, it could have taken them directly to the president. The renewed U.S.-Russia adversarial relationship has raised concerns about European dependency on Russian energy resources, including nuclear fuel. The unease reaches beyond diplomatic circles. 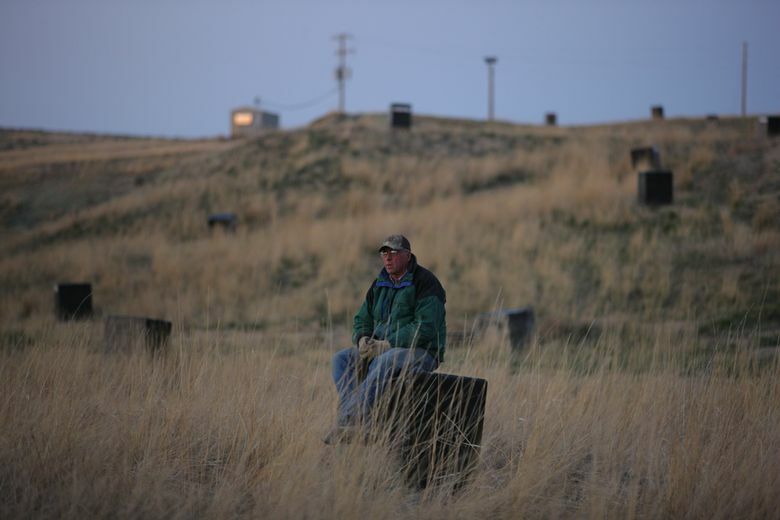 In Wyoming, where Uranium One equipment is scattered across his 35,000-acre ranch, John Christensen is frustrated that repeated changes in corporate ownership over the years led to French, South African, Canadian and, finally, Russian control over mining rights on his property. “I hate to see a foreign government own mining rights here in the United States,” he said. Christensen, 65, noted that despite assurances by the Nuclear Regulatory Commission that uranium could not leave the country without Uranium One or ARMZ obtaining an export license — which they do not have — yellowcake from his property was routinely packed into drums and trucked off to a processing plant in Canada. The commission confirmed that Uranium One has, in fact, shipped yellowcake to Canada even though it does not have an export license. Instead, the transport company doing the shipping, RSB Logistic Services, has the license. A commission spokesman said that “to the best of our knowledge” most of the uranium sent to Canada for processing was returned for use in the U.S.